Carey Custom Interiors is an interior design firm specializing in the fabrication of custom draperies, bedding, and table linens. Full service embroidery and monogramming are also available. Carey Custom Interiors offers full service design with a commitment to excellence, but without the typical "designer knows best" attitude. 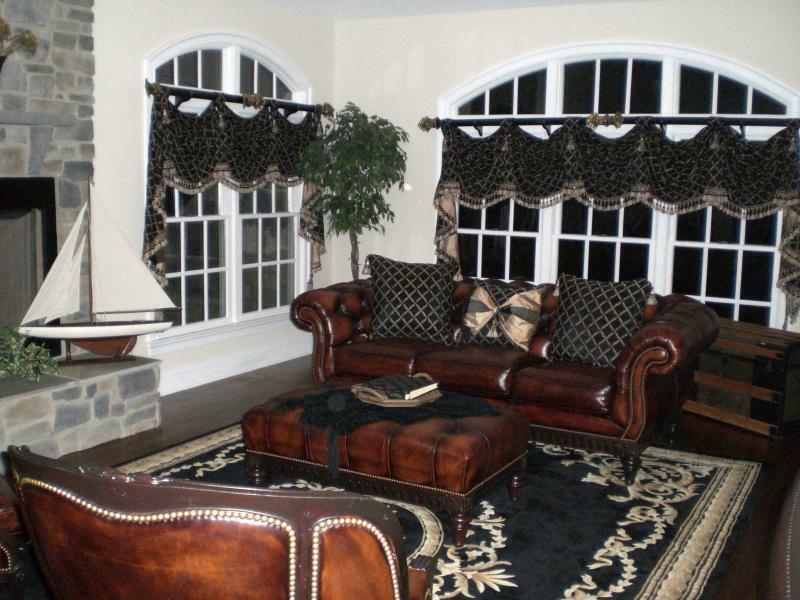 At Carey Custom Interiors, a happy and satisfied client is always priority number one. We work with our clients to guide and advise them throughout the process of making a house into a home. We work closely from concept to implementation to delivery and installation, always remaining mindful that the client's expectations must not only be met, but exceeded, in every step of the project. In addition, all labor is performed in house, using company owned and maintained equipment. All seamstresses, delivery and installation staff are employed directly by CCI. Absolutely nothing is contracted to a third party without the expressed written consent of the client. Further, each client receives the CCI guarantee that his or her specific fabric and design combination will never be repeated in another home. All projects are covered against defects in workmanship for a period of 2 years from the date of delivery. Fabric and materials are also warranted to the extent of their manufacturer. At Carey Custom Interiors, our goal is to complete each project within budget, on time, and exactly as envisioned by the client.